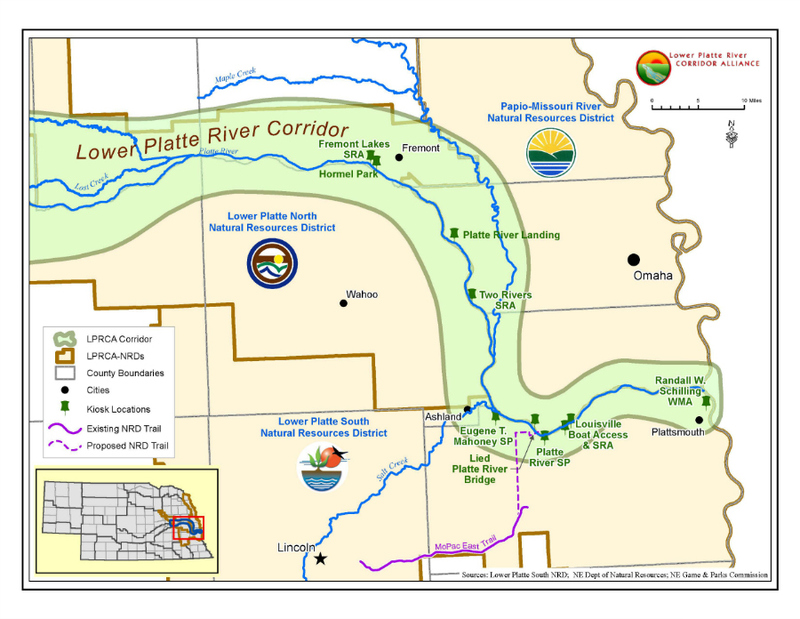 In an effort to provide education and awareness about the various items of interest in, on, and around the lower Platte River, the LPRCA has placed multiple informational kiosks at key user interaction points on the river. The kiosks allow users of the lower Platte to learn more about the river while they interact with it. Below you will find a map with the locations of first 10 kiosks the LPRCA has placed, check back as we hope to continue adding more as opportunities present themselves.